CAD data are complex. Comparing two CAD models is just about impossible for a person to do. 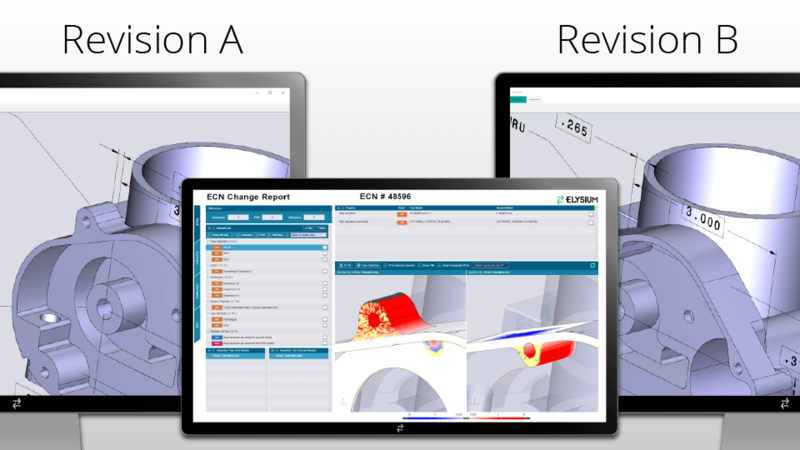 Elysium offers an easy way to compare CAD models; 3D PDF, HTML, and XML validation reports. With the industry becoming more and more reliant on 3D data for collaboration and manufacturing, it is essential that the data being shared is accurate. 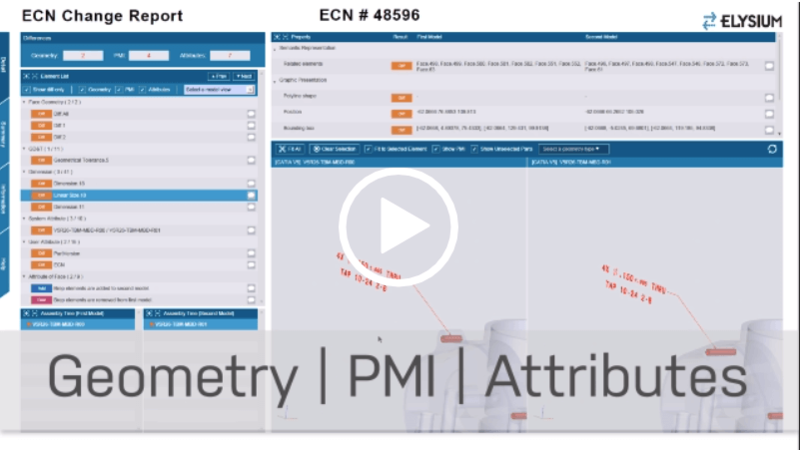 Comparing CAD model geometry, PMI and attributes can be frustrating and exhausting, but Elysium makes it simple, quick, and shareable. 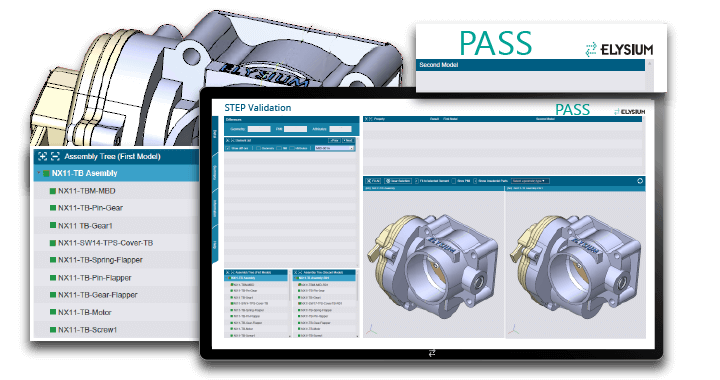 Learn the importance of validation for the deployment of model-based engineering practices. In addition, understand what functionality is critical in a validation solution and report for both engineering change and translation scenarios. Knowing what is on inside your CAD model is very important. Whether you translate your original CAD model to a neutral format (STEP, JT, etc.) 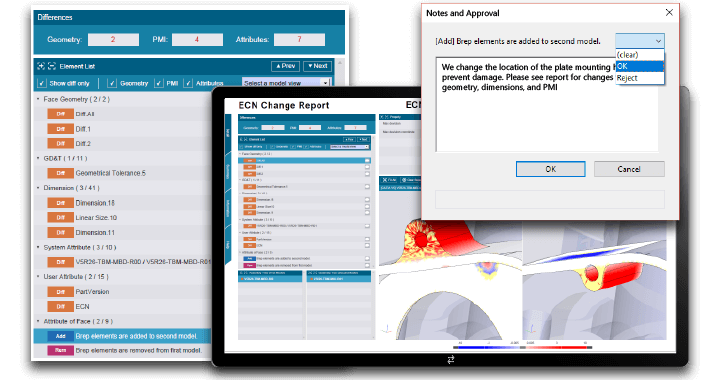 or compare an engineering change order, it’s important to be able to detect the intentional and unintentional changes to your model quickly and accurately. You need to validate that the geometry, PMI, and attributes hold to the intentions. Differences are detected automatically and precisely, eliminating risk associated with differences not visible to the naked eye. 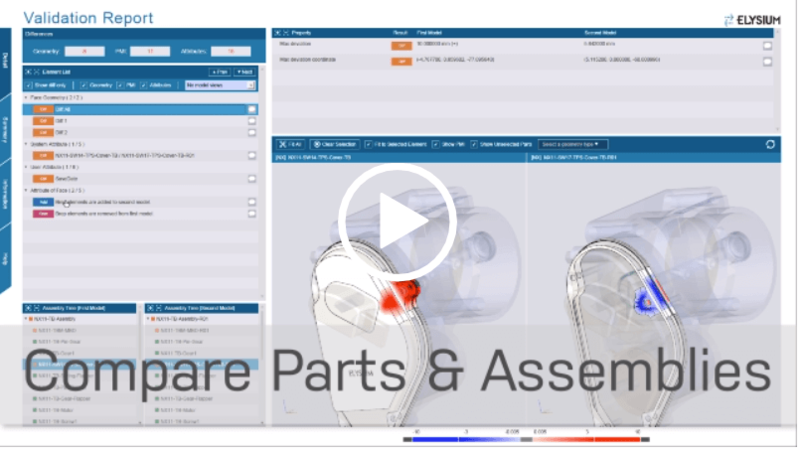 See how CADvalidator reveals differences and help you share it. Try for yourself and know your data. See how CADvalidator can help you with a multitude of your business needs. Just a few of the common Use Cases. Detect differences automatically with intuitive reports that are easy to share. Ensure that your CAD derivatives match your authoritative design source and PMI. 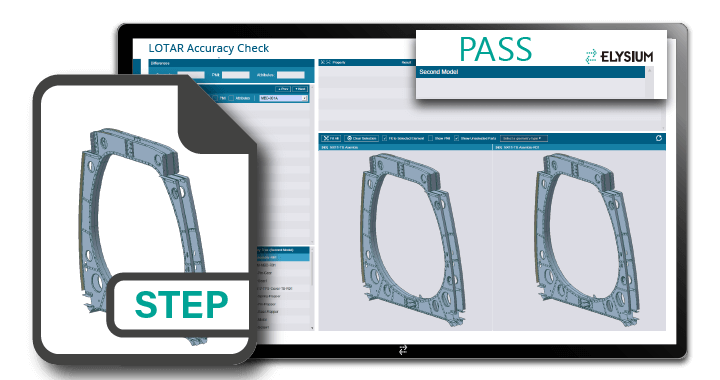 Verify that the quality is maintained, and nothing is lost in your MBD data before executing a CAD version upgrade. Comply with Long-Term Archival and Retrieval standards archiving of a 3D master and product structure. Finding differences in an engineering drawing can be frustrating and time-consuming. That is why CADvalidator is designed to make the change identification process quicker and easier. 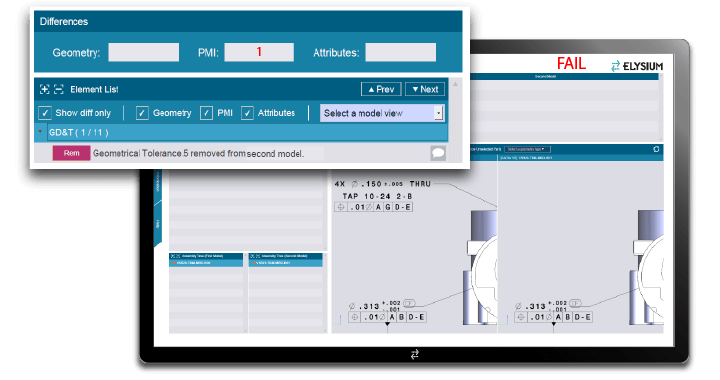 Instantly see changes in parts and assemblies to see where the changes occurred in geometry, PMI, and attributes. 3D data is shared constantly and with CADvalidator you’re assured that what you share matches the original. Ensure that Geometry, PMI, and Attributes are maintained no matter the delivery format; CAD to CAD, CAD to STEP, etc. Thousand of Use Cases. Yours Matters the Most. 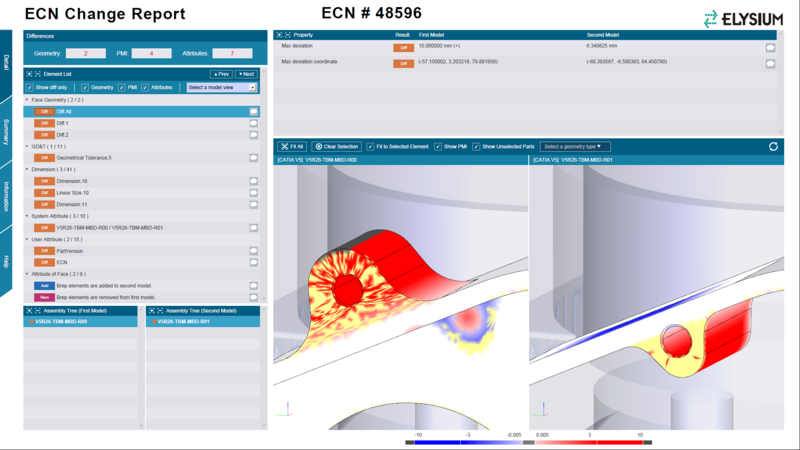 However you need to compare 3D data, CADvalidator can help. Let us show you how. 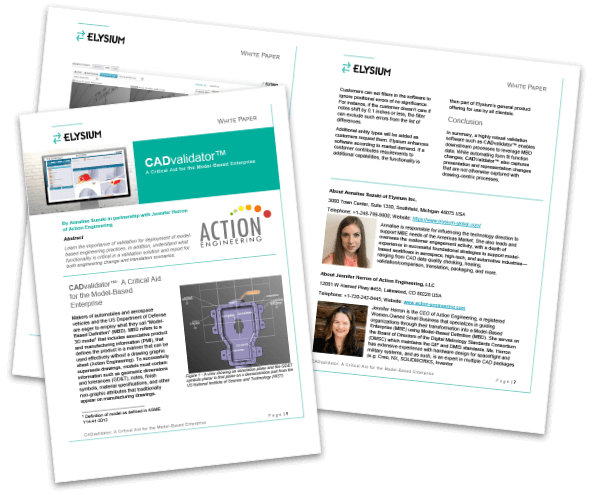 Most people would assume that you would get the exact same CAD data when upgrading to the latest CAD version, but often we see that even incremental releases have differences from one another. CADvalidator is designed to detect the subtlest difference so that you can be confident that you are getting the exact same model. Many aerospace companies are looking for solutions that can check data accuracy before archival. 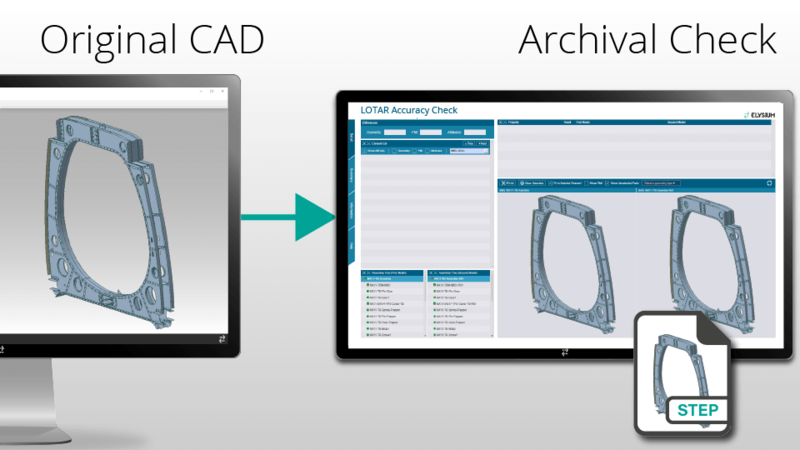 “Does the original CAD match the archival format?” With CADvalidator you can check your current CAD model against an archival model (typically STEP) and compare the results. When transferring the model to archival, you can add the 3D PDF or HTML validation report to show that the model does match the original. Customized reporting. Let us show you how. Reports can be customized to deliver accurate 3D data and information without requiring a proprietary software. Share without obstacles. Changes/difference information can be shared easily through common formats such as PDF, HTML, and XML. Compare at the part level, the assembly level or both. Use XML and your PLM system to automatically execute model validation. Implement triggers that can notify you of PASS/FAIL status. 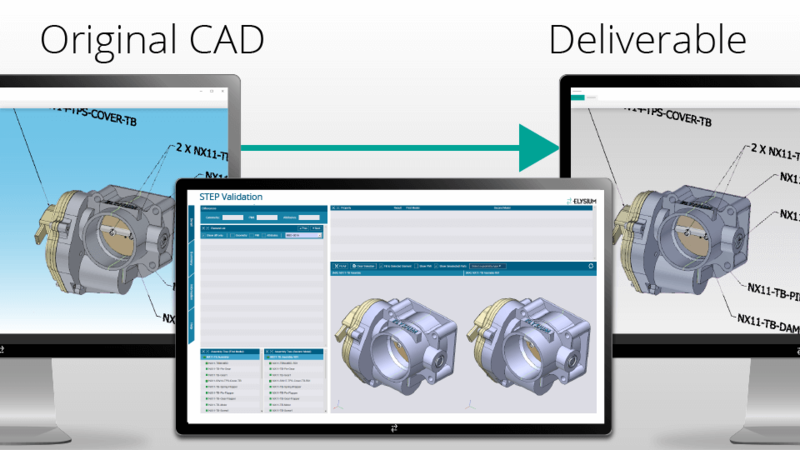 3D PDF and HTML reports can automatically be generated and added to your PLM system. Changes/differences are easy to see. The text, symbol, or surface is highlighted to show you where the change occurred. 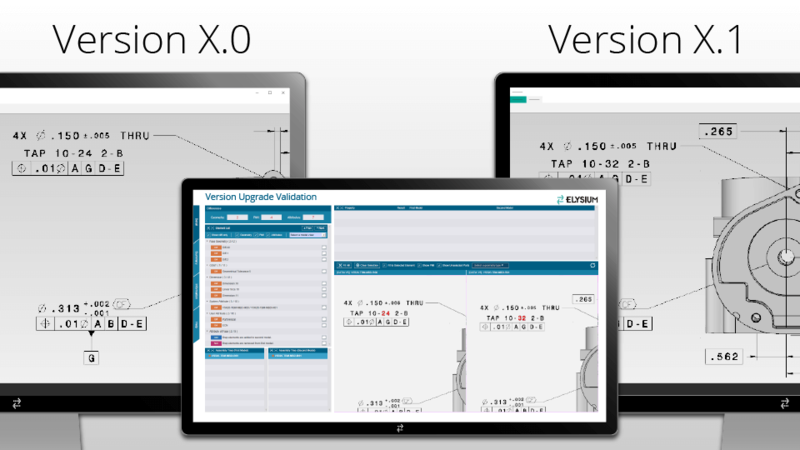 Not all validation solutions compare entire model information. Elysium Validation compares all information to detect changes.